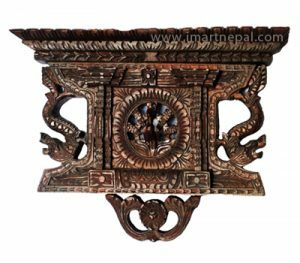 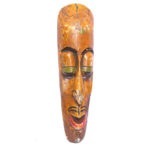 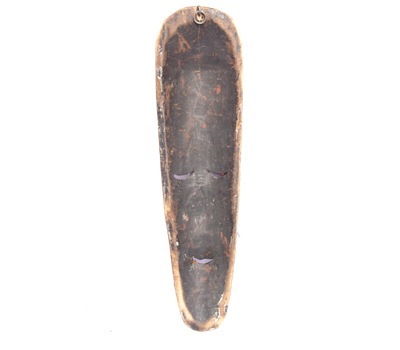 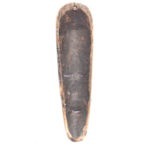 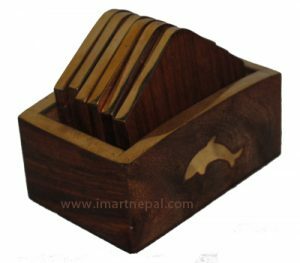 This piece is creatively crafted by native carvers of Nepal. 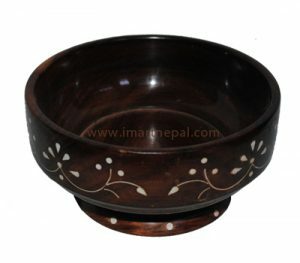 Nepal is world famous for it creative cultural and folk mask. 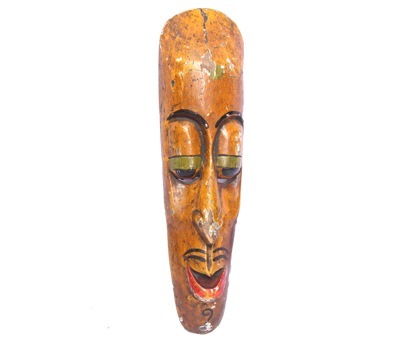 They represent traditional and Buddhist gods and symbols.They are usually seen on festivals like Gaijatra (Bhaktapur) and Matyaa (Patan).If you are a collector of masks and unique items, his is one perfect item for your collection.